CJ Aerospace announces distributorship of Whelen Engineering Company, Inc Lighting Parts. LED lighting is the ideal lighting technology for Aviation application. Whelen LED lights are time & field-tested for reliability & long-life performance under the toughest conditions for Fire, Emergency, DOT & Law Enforcement professionals around the world. CJA are now Authorised Distributors of Whelen Engineering Company, Inc Aviation lighting range, stocking the latest & greatest LED Aviation technology that improves visibility, efficiency & reduce costs for our customers. With stock arriving in the next 2 weeks, CJ Aerospace looks offer customers a wide range of Whelen products, supplier fast at the best prices. Click here to contact the team to get a Whelen quote today. Australia Day Promotion Photo Competition Winner Announced! Thanks to everyone who entered our Aussie Day Photo competition. And the winner is SEAIR PACIFIC; one of our great CJA customers who continually support our business & always get involved in our competitions each year! Congratulations Seair Pacific & thanks to everyone who got involved! Australia Day Promotion Kicks Off! CJ Aerospace is open over the Holiday Period! 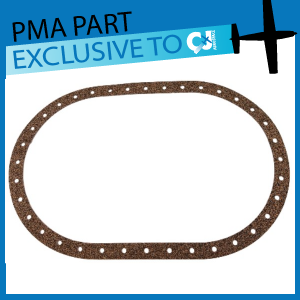 At CJ AEROSPACE we are all about providing our customers the HIGHEST QUALITY PARTS FAST at the BEST PRICES with SUPERIOR CUSTOMER SERVICE & TECHNICAL SUPPORT when you need us. It is for this reason CJ AEROSPACE WILL REMAIN OPEN THIS HOLIDAY PERIOD. So that means the CJA Team in Sydney & Cairns will be available to take your enquiries & orders, providing our same high quality customer service during the Christmas / New Year period as we always do. The only exception will be on Public Holiday days when we will be closed. 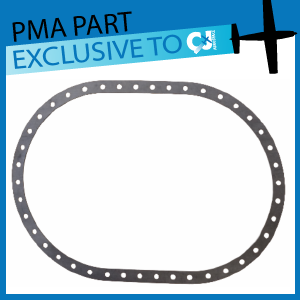 Our latest Exclusive FFA-PMA Approved Parts with Hemico, Inc. has been launched this week, a Fuel Tank Access Panel Gasket. 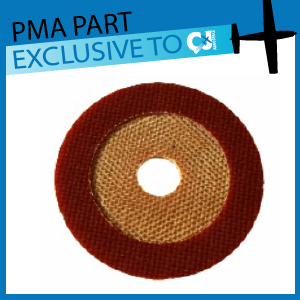 These PMA parts offer our customers significant savings with superior or equal quality & performance as OEM parts. 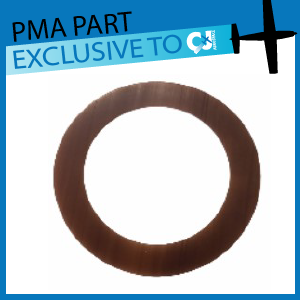 CJ Aerospace has developed a range of Exclusive FFA-PMA Approved Parts with Hemico, Inc. that offer our customers significant savings with superior or equal quality & performance as OEM parts. 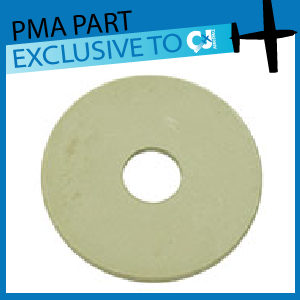 Our latest part are Washer, Wing Installation and a washer, Flap. CJ Aerospace are excited to announce we are now Authorised Distributors of Aero Classics Heat Transfer Products, Inc oil coolers in Australia, stocking a wide range of Remote Mount Oil Coolers and Continental Engine Oil Coolers. CJA are the only Authorised distributors in Australia and we are excited to be offering our customers the best oil coolers at the best prices. Aero Classics oil coolers offers the General Aviation community the largest number of FAA-PMA approved oil coolers in the world, manufacturing superior quality oil coolers, offering aircraft owners Superior Performance, Lighter Weight & Lower Costs! For more information about AERO Classics oil coolers or to see what oil coolers we have in stock, CLICK HERE to visit our AERO Classics page. 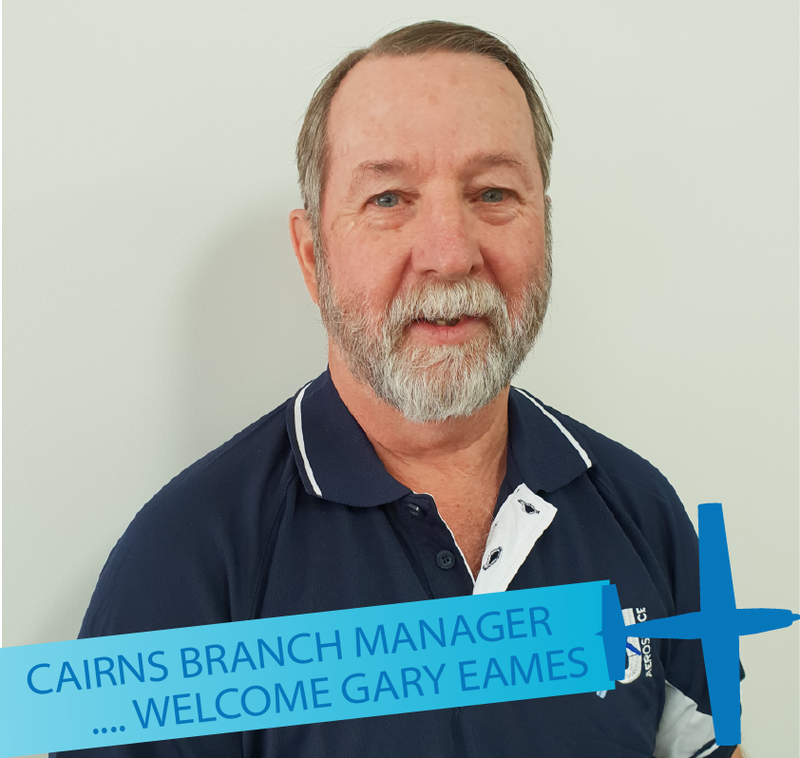 Our new Cairns Branch Manager has been confirmed and we are excited to announce that Cairns local and aviation parts expert Gary Eames will be heading up our Cairns team. Previously working within the Cairns aviation industry for over 22 years, Gary comes to CJ Aerospace with a wealth of aviation experience including expertise in Spare Part Sales, Customer Service Support, Aircraft Supply Management and Aviation Logistics. His unparalleled local customer knowledge, outstanding customer service reputation and his broad aviation expertise ensures all CJ Aerospace Queensland and Pacific Island customers will benefit from Gary’s local support. He will have a team of support staff located in both Cairns and Sydney. During CJ Aerospace Cairns office construction, Gary can be reached by email via sales@cjaerospace.com.au. The Cairns branch is set to open Mid to late September 2018. More information to follow. 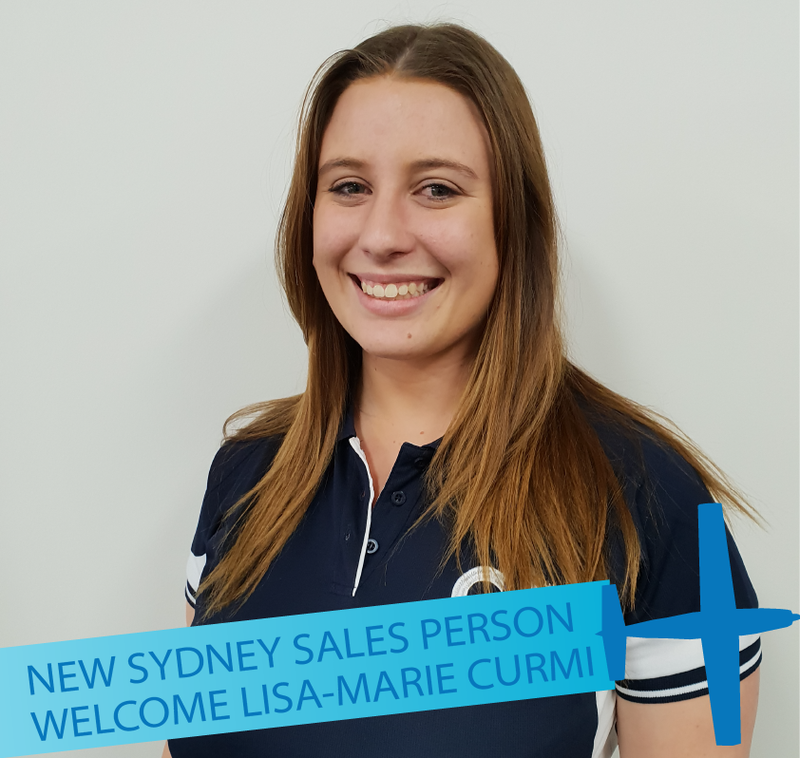 We welcome Lisa-Marie Curmi to our Sydney CJ Aerospace Sales Team this August. Lisa-Marie joins CJ Aerospace with over 4 years’ Aviation Spare Parts experience, working for multiple aircraft operators in Spare Parts. She brings to the team her passion, friendly and bubbly personality to deliver exceptional customer service to our customers. Lisa-Marie can be reached at our office on +612 9540 4587 or via email at saes@cjaerospace.com.au. CJ Aerospace is now a proud member of Aviation Distributors and Manufacturers Association (ADMA) the association for distributors and manufacturers of aviation parts, components and supplies. The ADMA strives to further the development of the aviation marketplace through the services and products produced and distributed by members through awareness of the advantages of the aviation marketplace and the resulting benefits to the customer. CJ Aerospace is committed to developing long-term, business relationships with other Distributors and Manufacturers and working within the ADMA to benefit our customers and the overall aviation industry. For more information of the ADMA, visit their website here. As a valued CJ Aerospace customer, we thought you’d like to be the first to know that we are expanding.... & we are heading north to Cairns! To support our growing business, CJ Aerospace is opening our second distribution location in Cairns to better serve & support our growing customer base in Queensland & the Pacific Islands. CJ Aerospace is committed to becoming Australia’s Aviation Parts 'Supplier of Choice', offering the highest quality spare parts & components at the best price, lead times & always with exceptional customer service. With a new state of the art warehouse, an experienced local team and the same great CJA approach customers service, CJ Aerospace looks to deliver continued unparalleled customer support, providing the assurance that we will be there when our customers need us. The Cairns branch is set to open late September 2018. More information to follow. CJ Aerospace has partnered with Wings over Illawarra to offer our customers the chance to win one of 2 family weekend passes to the upcoming ‘Wings over Illawarra Airshow 2018’ on May 5th & 6th 2018. WINGS OVER ILLAWARRA - THE SYDNEY AIRSHOW is held over the weekend of Saturday 5th - Sunday 6th May, 2018 at the Illawarra Regional Airport, Albion Park Rail, the Wings Over Illawarra 2018 is Australia’s biggest and best annual airshow. Competition closes midnight 27th April 2018. For more information about the event, details on admission charges and ticket purchases visit www.wingsoverillawarra.com.au. Get your FREE Australia Pack* and celebrate Australia day in style. It's easy, like our Facebook page, register on our website and we'll send your Australia Day pack. Hurry don't miss out, offer ends 2nd Feb or until stocks last. *Must be an aircraft owner or working in a civil aviation business.